Andrew Maher is an absolute professional. He has gone above and beyond on two separate occasions--once with a tire replacement and yesterday with a brief interview for a business project I'm completing. He is honest and truly cares about helping people. Very laid back experience. The entire staff was knowledgeable and helpful throughout the entire process. Andrew our salesperson was super helpful and made sure we found the fit that was right for us. Incredible experience! Andrew our sales person was amazing to work with. His knowledge of features made it easy to match us up with the exact Porsche we wanted. 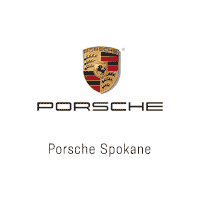 Whether you’re thinking of buying a Porsche in the Spokane area or nationwide, Andrew would be the sales person I would recommend entirely from start to finish. All in all, the Liberty Lake Porsche dealership is exceptional, responsive, & respectful. They were wonderful to work with. 5 stars no question about it! Had one of the best experiences in a car here. Went in to test drive a used Porsche BoxsterS and I have to say the sales rep was nothing but genuine. He took me on the best test drive I’ve ever had (wish I remembered his name). I was a little new to manual and his support honestly helped me become a pro. Took me on some back roads that really made me see the beauty of the flat 6. Told me about how much Porsche meant to his family and his family. Really added to the experience. While I may not be in the area anymore, I can happily say I now have my own Cayman and would recommend this dealership to anyone. I have worked with Andrew Maher since August 2018 on building and buying my Porsche Cayenne. He has been delightful to work with. He was responsive to any questions or concerns during the buying process. When I picked up my new car today (Feb, 2019), there was a bow on my car, and it was ready to go. Andrew gave me the tutorial on the various functions, and I will meet with him again next week to continue the process.To be the owner of a new Porsche is a privilege. To have Andrew Maher guide you through the process is one of the best benefits of buying from Gee Porsche.Kathleen L.
Porsche shopping is soooo much more fun when get to work with great people. Ben, Bret, and Andrew and really everyone at Porsche Spokane are fantastic. Everytime I stop in to see something they just got in they are extremely friendly and helpful. I've spent most of my time with Andrew. He has a way of getting me more excited about these cars. I truly appreciate his tireless approach to helping me find that perfect Porsche. Highly recommended. 6 stars! I had just bought my first Porsche (from a different place) an 05 Carrera 911S 3.8L got a flat tire and noticed that my locking lug nut key was missing.Called Porsche service and was informed that there are several different key patterns. So I towed my new car with my truck to have the right key found out.At the service desk I was treated with an extremely professional gentleman (whoes name I cant seem to remember but it started with a "C") that came out to my truck and car with his master set of locking lug nut keys and quickly found the key for it.Already knowing that this one key normally retails for almost 100 dollars based on research, I pulled out my debit card ready to pay for it. He informed me that they didn't have one in stock "new" but this was a spare pulled from the tool area so I could get my tires replaced. I was expecting to pay this key and didnt.I must say porsche knows customer service!! !Especially for a brand new owner with a small problem as the locking lug nut.I will be back for more great things in the future!!! Andrew was amazing, he’s a pleasure to work with and made the entire experience easy and seamless. Thank you!